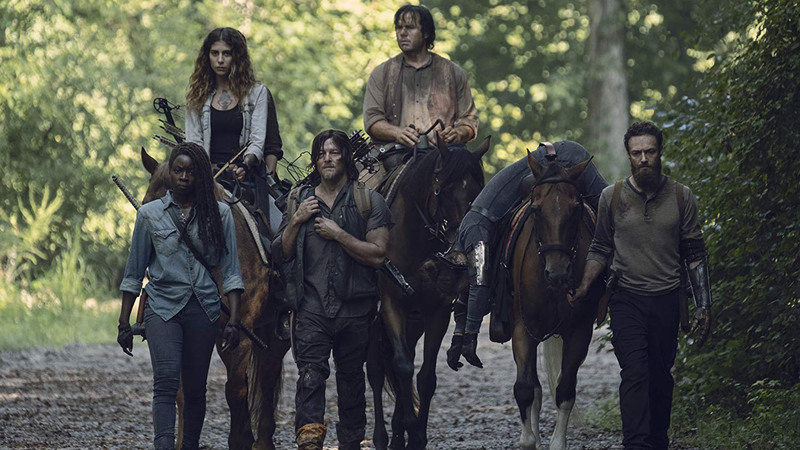 When The Walking Dead debuted back in 2010, we never could have guessed the expansive universe that was about to open up. In the near-decade the show’s been on the air, numerous spinoffs have followed –– and AMC shows no signs of slowing down. First, there was Talking Dead with Chris Hardwick, a live TV after-show for fans who want an inside look at the show’s production. Then we got Fear The Walking Dead, a companion show with occasional cross-overs, and the promise of a Rick Grimes-focused Walking Dead movie trilogy. Today, AMC announced a third TV spinoff: a scripted series featuring two young female protagonists growing up in the ongoing chaos of the zombie apocalypse. Honestly, I was hooked at “young female protagonists” (who doesn’t love a good female-driven reboot? ), but here’s what we know about the series. Hopefully, the show’s creators will release more information in coming months: a 10-episode season is scheduled to premiere 2020, with production starting this summer. While the series may not exactly feature your OG favorites, there’s a reason this show’s been on the air for nearly a decade, and it has everything to do with the insane universe they’ve created. Personally, I’m very excited to take a peek into the future of this apocalyptic world, where zombies are just another challenge teenage girls are expected to face. Discussing the show’s protagonists, Gimple says this: “Some will become heroes. Some will become villains. In the end, all of them will be changed forever. Grown-up and cemented in their identities, both good and bad.” I’d watch that show about two female protagonists even if zombies weren’t involved— I can’t imagine how fun it will be when they are.